NEW PRE-RELEASE: OPEN MINDS, OPEN SEAS! Be Your Best. CREATE Your Best! Renaissance Creative Arts offers online instructional programs, the Renaissance Academy of Fine Arts & destination art workshops for artists to advance their technical knowledge; improve their artistic skills and creativity; and inspire them to create works of art that will inspire others. Our programs are taught by nationally recognized, award winning artist, Jessica Henry; Daniel Hill Riedel & a select list of other accomplished artists. Join our Renaissance Community in this exciting venture to LEARN, CREATE, INSPIRE & GIVE back through our charitable giving efforts! Be Your Best. CREATE Your Best. Plus get $335 of free bonus gifts and discount! announcing our newest art program! With A Proven Step-By-Step Painting Method! If You're One Of The First 250 To Order Before The Deadline You'll Be Entered In Our Very Special Drawing! You Could Win $1,747 Of Art Instruction...FREE! • SUCCESSFULLY PAINT YOUR STORY FROM START TO FINISH! Plus Get A Free 55 Minute Portrait Painting Video Just For Taking A Look! We are honored to be featured on CIYL’s March 8, 2019 episode with host Richard Stergulz. Episode breaks record for most views in first 24 hours after release! Thank you to Graeme Stevenson and his CIYL team for having us on the show! Helping Artists Around The World Be Their Best & CREATE Their Best! Click the link below to get detailed information on each workshop as it’s available. Our workshops are filling fast! Please reserve your spot today or place your name on a waiting list. At times attendees cancel their reservations and we fill those spots on a first come, first serve basis starting with our waiting lists. START Capturing The Energy Of A Wave, Its Action, Color & Emotion In Every Seascape You Paint! Claim $100's Of Discounts & Free Bonus Gifts When You Order Your Copy Of From Mesas To MountainTops Today! Learn more & Claim Yours Today! 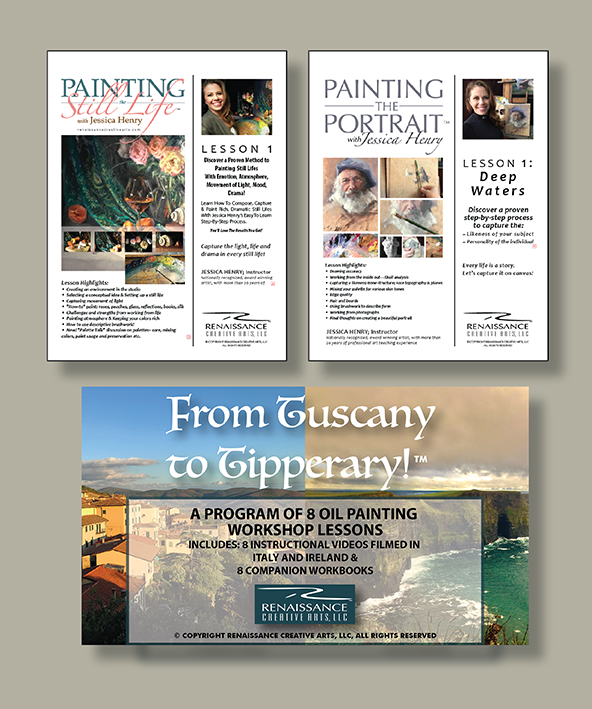 Click the link to learn all the details about this exciting Plein Air painting program, DISCOUNTS & FREE GIFTS! You'll get a FREE 28-MINUTE VIDEO art lesson just for reviewing the information. This program was filmed in the Mesas and Mountains of Southwest Colorado. These are breathtaking locations in the Colorado's Four Corners area, along the Million Dollar Highway (from Durango to Silverton to Ouray to Ridgway to Telluride) and in beautiful, mystical state parks including Mesa Verde and the Canyons of the Ancients. And at beautiful Wild Mesa Farm. > PAINT INDEPENDENTLY, WITH CONFIDENCE! Every life is a story. Let’s capture it on canvas! Claim Your Copy & 3 FREE BONUS GIFTS! 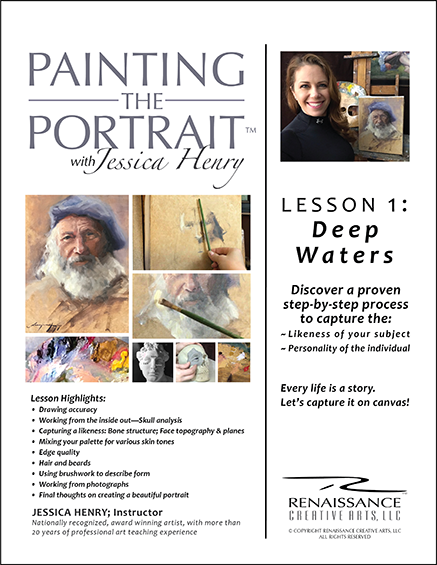 Drawing from more that 25 years of portrait painting experience, Jessica keeps the process simple while providing you with extensive research, helpful information and practical tips. The companion workbook features detailed instruction, photos, drawings, diagrams & much more! 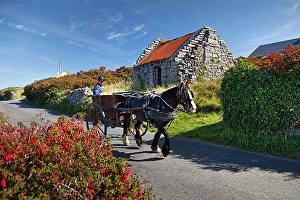 Jessica Henry Teaches The Techniques Of Plein Air Painting On Location In Some Of The Most Beautiful Places In Italy and Ireland. From Tuscany to Tipperary! will give you solid instruction to advance your painting skills and creative expression. As well as offer encouragement and inspiration to explore, engage and discover the restorative qualities of being immersed in Nature. Now available! 8 art instructional videos and 30 - 60 page workbooks unique for each video! Learn More & Order Today! Many thanks to all those who contributed on Facebook to the making of our pilot program. Your donations totaled $2,300.00! This was a huge help in moving ahead with the next step to make the dream of this show a reality. Thank you! Please click the link to the right to view the full pilot program we produced with your help. Paint Your Adventure is a plein air painting /travel/adventure show. 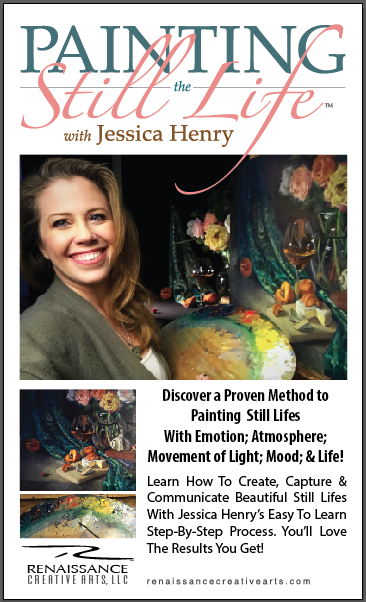 Working directly from nature, Jessica Henry demonstrates a fun, natural and inviting way to paint, while highlighting the excitement of taking your artistic adventure into the great outdoors. 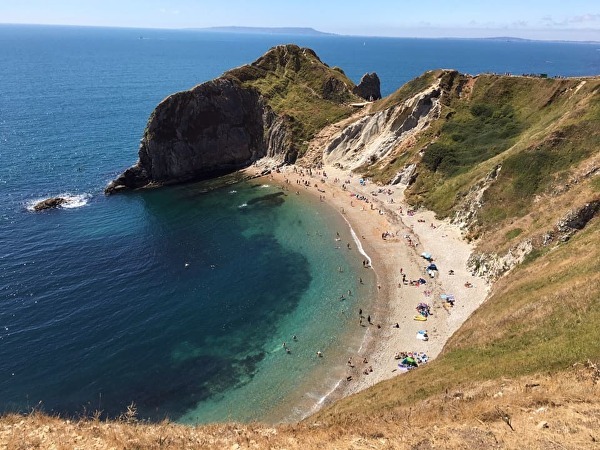 The show will highlight some of our nations’ most treasured parks and areas of interest while displaying the appreciation and need for conservation as well as the healing benefits of getting out and enjoying the outdoors.